I would like Sage to compute the number of all $5$-colorings of graphs on $2k$ vertices and $k^2$ edges with clique number 3 for a specified $k \geq 1$. Is there a way to obtain a list of the number of $5$-colorings of all of these graphs? If not, could I at least obtain their chromatic polynomials? Then I could have them evaluated at $5$. Not the answer you're looking for? Browse other questions tagged combinatorics graph-theory math-software programming sagemath or ask your own question. 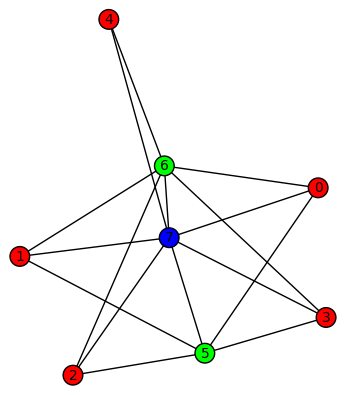 Increasing the chromatic number of a graph? how to show that list chromatic number for this graph is 3? Software to generate graphs with specific properties.